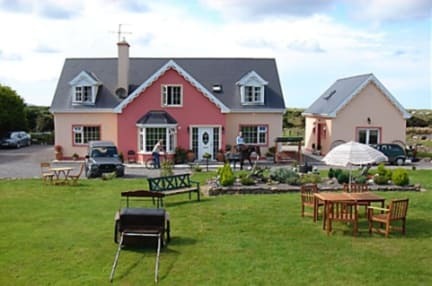 Located on the Dingle Peninsula in Camp village Lurraga House is a modern custom built home surrounded by picturesque scenery which offers the visitor a home from home experience. At Lurraga House, we have two tastefully appointed guest rooms with views of Tralee Bay and Kerry mountains. Awarded 3 stars by the Irish Tourist Board, all our rooms are equipped with satellite television, wireless internet access, hairdryers and tea/coffee-making facilities. En-suite bathrooms boast power showers and complimentary toiletries for your convenience. An extensive breakfast menu is served in our dining room with its magnificent views of the Dingle Peninsula and is included in the rates. Other amenities include a sun lounge, pool table, and landscaped garden with seating areas, which is the perfect place to relax and ponder in the evening sunshine. 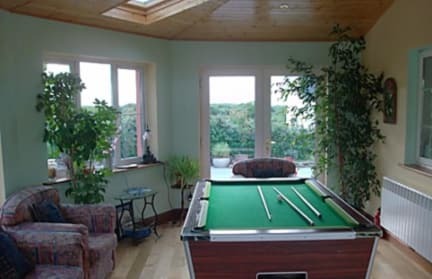 Lurraga House gives you the chance to discover everything the Dingle Peninsula has to offer; stroll down miles of blue flag beaches, admire the beauty of the Kerry Mountains, Tralee Bay and the rich local flora and fauna. Play a round of golf at one of links courses located nearby, try your hand at watersports or try some angling in the bay. Cancellation Policy is 72 hrs in advance.